Armadillo problems are particularly unpleasant and they are something that you might want to take care of as soon as it is possible. This is going to prevent any future damage and it’s going to ensure that you don’t have to re-do your entire garden again. If you fail to handle the issue conveniently and on time, these pests are going to destroy your plants and are going to cause irreparable issues to your garden. This is the main reason for which you want to be particularly attentive and alert. The first thing, however, that you would have to do is to properly identify the overall areas of damage. There are a few signs that you might want to keep an eye out for which could be indicative of an armadillo problem. If you manage to identify them on time, you will be capable of employing an effective armadillo repellent and chase them away before they’ve done more damage to your beloved garden. Keep in mind that if you fail to use the right armadillo deterrent product, this could lead to serious issues as they are capable of undermining the foundations of certain structures as well. 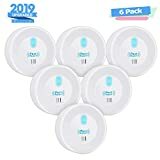 Specific holes which are characteristic for those pests. They are likely to be between 3-5 inches in width and about 5-7 feet of depth. Uprooted plants and seeds – this is something that they love doing and it’s amongst the most serious armadillo problems you can come across. Armadillo burrows – these could be near the foundations of your home or other structures that you have in your yard. Now that you have determined that you have an armadillo problem, it is particularly important to employ the right counter measures. With this in mind, the first thing that you need to do is to choose an effective armadillo repellent. This is where we step into the picture to provide you with a helping hand. Below you will find a few different types of particularly effective solutions to this problem, all of which have different purposes and end results. You should choose the one which is rather effective for your particular situation. Armadillos, specifically the nine banded armadillos, are pests that originated from South America and live in the warmer places of the States. If you have an infestation of Armadillos, you will typically find a burrow where they live near your home or any other infrastructure in your garden. They typically live anywhere between 7 to 10 years and live on a diet of mostly insects. However, in the cold, they do adapt to eat small lizards and amphibians if necessary. The Armadillos’ breeding season usually begins in the early months of summer and will last about 2-3 months. Every time Armadillos have offspring, they will have quadruplets. Armadillos can be distinguished by their armor-like, rounded back and their strong front claws which they use for digging. They have a protective armor on their backs which they can curl up into if they feel threatened, turning into a protected ball as a result. They are fairly small animals and can move quite quickly as well as know how to swim. The main damage that you experience from Armadillos is the damages they create in your gardens and soil while they scavenge for food. They tend to uproot small plants and seeds and make characteristic holes and tunnels for them to live in. Armadillos can cause serious destruction to your gardens and yard during their search for food. They create many burrows and tunnels which will not only make the ground of your garden unstable, but also create a mess. Other than causing a hassle and destroying your garden, Armadillos carry other dangers as well. They are known to carry several diseases that can endanger yourself and your loved ones. One disease commonly found in Armadillos is Salmonella. The worst part about this is that you contract it not by touching the animal itself, but instead by (accidentally) touching the animal’s feces. Some symptoms that you might experience due to contracting Salmonella include fevers, diarrhea, abdominal pain and chills. There are two other diseases that you can get from either being bitten or scratched by an Armadillo; these include Rabies and Leprosy. Many individuals get hurt by a wild Armadillo when trying to trap it in their yard, or while trying to release it. This is because the animal feels afraid and is prone to attacking. In any case, if you’ve been attacked or have come in direct contact with an Armadillo, it is highly advised that you receive medical attention immediately. Armadillo Scram Professional Repellent 22 Lbs Natural Rtu Armadillo Repellent"
This is a great option if you want to repel armadillos which are already infesting your backyard. With this in mind, it is also worth noting that it comes in a form which is ready to use and you can start applying it right away. Best for: repelling armadillos which are already in your backyard by contaminating their food source and natural habitat. Watch out for: do not overdo it. Using too much might actually cause certain issues. It takes advantage of a non-clogging formula and it doesn’t gel, which means that you can apply it directly to your garden hose and be done with it. It’s not going to harm your vegetation which is also important. It will stop the digging in your garden area, flower beds and in your lawn. This is another particularly effective solution if you want to keep armadillos away from your home or to chase them away if they are already inside. With this in mind, one of the strongest advantages for you to take advantage of is the fact that it’s organic. Hence, there is no need to worry about its impact on pets and kids. Best for: it’s perfect for chasing that pest away if it is already in your garden. Watch out for: there is nothing that you need to be very careful about as the entire thing is entirely natural. 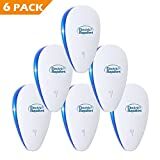 Now, this is something which is particularly awesome and you should definitely consider it, especially if you are into high-tech stuff and want to keep the population of armadillos at bay. Not only is this method going to chase them away, it’s also going to deter them from coming even close to your garden. It produces ultrasonic sounds which are especially harmful to armadillos and that’s why they won’t even come near it. Best for: keeping armadillos away. Watch out for: ultrasonic sound might annoy you, even subconsciously. This is something which is very similar to the 2nd product, only that it doesn’t depict the same natural properties. However, it does a stellar job when it comes to handling the armadillos and it’s going to chase them away pretty quickly. Best for: getting rid of currently inhabiting animals. Watch out for: potential chemical substances. You can buy this from a specialized venue or you can go ahead and create it on your own. Using a concentrated castor oil mix and diluting it with water is all that you need. It’s safe for plants and vegetation and it won’t harm your animals. Best for: quickly chasing armadillos away. Watch out for: potential allergies to castor oil. This Skyline Tek electronic animal repeller runs on rechargeable batteries, which are powered through a solar panel that is attached to the repellent. 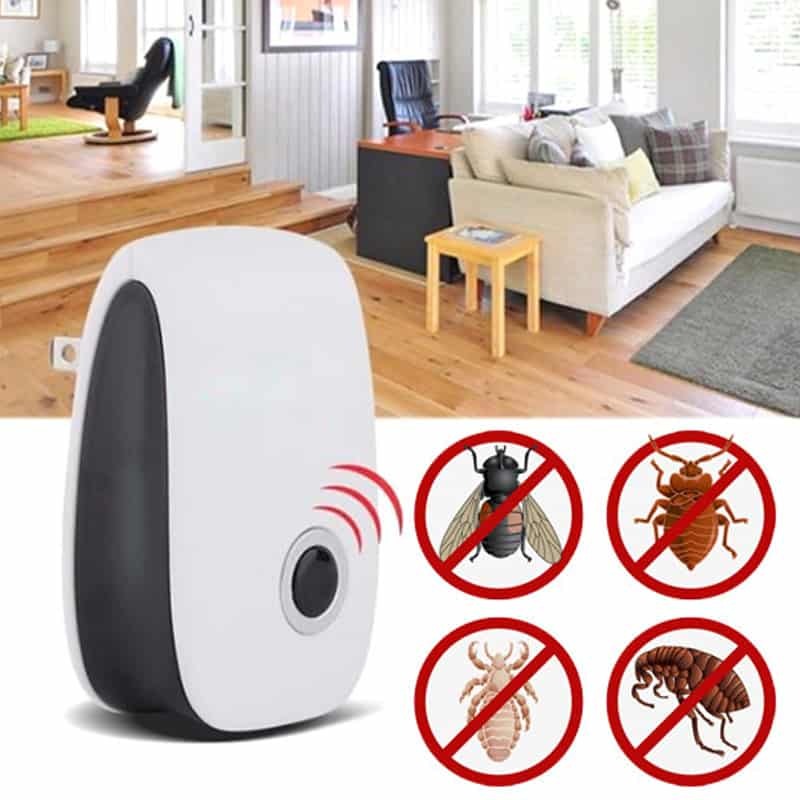 It is motion activated as well, so any movement within a 110-degree arc and 26.24 feet will activate the repellent. It can be placed by either pushing it into the ground or by hanging it on the wall. It is ideal to use in areas such as patios, gardens farms and ponds. 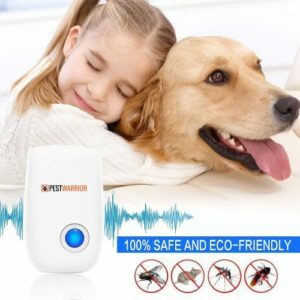 How it works: whenever the repellent is activated, it will scare away the animal through the use of ultrasonic sounds, ranging from 13,5000 to 40,000 Hz for 30 seconds as well as flashing lights. This way, your garden will remain safe from any chemicals and pesticides while keeping any unwanted intruders out. Other than scaring away Armadillos, this repeller is also effective in removing rats, badgers, skunks, cats, racoons, squirrels, bats and other small, unwanted animals. This enviro commercial repellent comes in a 6-pound bag and is ready to be applied on any area. This amount can be used for up to 3,600 square feet, about a pound for every 600 feet. This repellent is ideal for garden areas, concealed areas and fence lines. 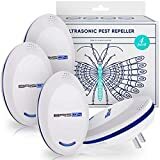 Made with a blend of natural and organic ingredients, this repellent was formed to lessen and eradicate any Armadillo activity within the premises. This Natural Armor commercial repellent comes in the form of a spray, which you can use both indoor and outdoors and is very easy to use. The whole bottle can cover 500 square feet and is waterproof for up to 90 days. This repellent is made from all-natural ingredients, so you can use it freely around children, pets as well as on your plants without harming them. You need not worry about any unpleasant smells too. In fact, it comes in 4 different scents: Rosemary, Mint, Peppermint and Thyme. How to use: This Natural Armor repellent comes in a spray bottle, so you simply spray it wherever you like without it leaving any residue or clogging effects. This Bonide commercial repellent acts as a nasal passage, skin and taste irritator to pests that are in the area. With its unique blend of solutions, it triggers the animal’s natural instinct to flee the area. This blend can stay for up to 2 months and has significantly positive reviews related to handling Armadillo issues. How it works: spray the solution around areas where you have found Armadillos as well as their burrows and around outside structures. This all-natural and plant-based repellent from Rapid Repel is safe for your gardens and landscape, while effectively steering Armadillos and other animals away. The repellent comes in a ready-to-use liquid formula and is used along with either a one or two-gallon garden sprayer. Its main ingredient is pepper, which attacks the senses of the Armadillo. As a result, spraying it along the perimeter of areas that you do not want them in will be extremely effective. Most electronic repellents are motion-activated and they automatically spray water from the attached sprinkler whenever it is triggered. This creates a safe way to ward off the pests while keeping your garden safe from any chemicals. A benefit of using this type of repellent is that it protects your garden at all times. However, it can be more costly to purchase and install when compared to other types of repellents. It is also sometimes a nuisance when the system goes faulty or is overly sensitive and sprays unnecessarily. 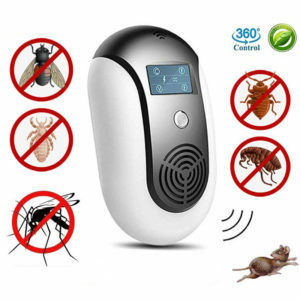 This type of repellent is the most widely used, as it is considerably easy to use and find. Most commercial repellents are available in a liquid solution or in a water-activated granular form, which you will scatter in and around your garden. How this type of repellent works is that it dissolves into the ground, plants and insects that live in your garden and coats everything in the solution. This solution is highly unpleasant in taste for scavenging Armadillos. As a result, it will deter them from inhabiting your garden since their food options are distasteful. A benefit of using commercial repellents is that it does not require much effort to install. Also, you would only need to reapply the repellent about every 4 to 6 weeks. This type of repellent is also good at ground penetration effectiveness, so burying Armadillos will be affected as well. The only downside to commercial repellents would be the cost in comparison to some homemade repellent options. There’s also the possibility of the substances upsetting the plants in your garden, though this does depend on each individual repellent. A simple homemade repellent that is effective in getting rid of Armadillos is a cayenne pepper solution. All you will need is a standard bottle of cayenne pepper, which will make about 16 fluid ounces of homemade repellent when mixed with water. The cayenne pepper will not sit well with Armadillos’ senses. Simply pour the solution around your garden as well as when you have found an Armadillo. A downside to using homemade repellents is that it will need to be reapplied often, as rain will wash it away. It is also not as effective as commercial repellents when it comes to ground penetration effectiveness. However, it only costs a few dollars for a bottle, which is much cheaper than commercial repellents or electronic repellents. Before considering this option, it is essential that you find out what the regulations are for trapping wild animals. This is because there may be some procedures you will need to follow before trapping Armadillos. If you’re more interested in an immediate solution, trapping Armadillos can be another choice, though it isn’t a long-term one. When using traps, make sure that you have one that has a ’release’ from the outside so that you will not come in contact with the animal. It’s also important to keep in mind that Armadillos are medium-sized mammals, so you will need a trap that has the correct size. Once you have trapped the animal, you will also need to release it at least 2 miles away from your property to ensure that it does not end up wandering back. Once released, you can keep the trap for future use if necessary. This simply means getting professionals to trap the Armadillo(s) and letting them decide what they would like to do with the trapped animal. This would either mean releasing it somewhere else or euthanizing it. Having a professional remove your problem can be more expensive, especially with severe issues and may be considerably less humane. However, it can be safer in solving the pest problem. There are several options that you can choose from – or you can even implement them all – to keep Armadillos away. 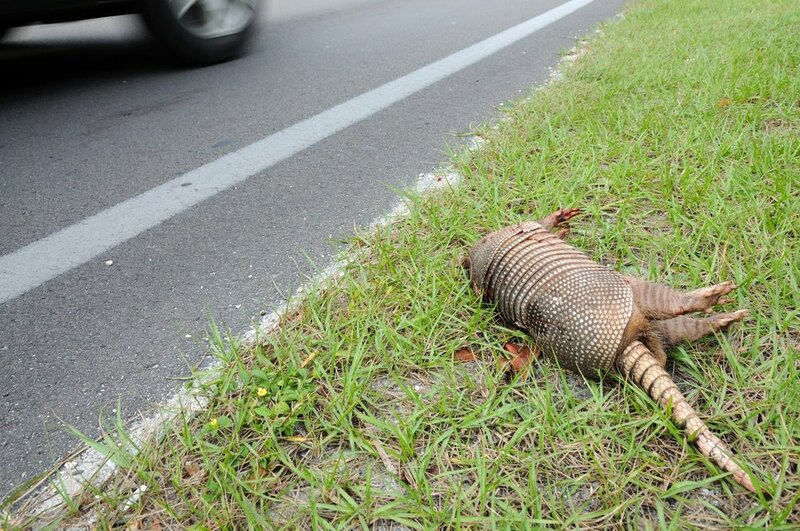 Armadillos are difficult pests to get rid of, so taking preventive measures is a good idea. Some people who have had issues with Armadillos might tell you that you will need more than just one preventive measurement to keep the animals out. For example, a fence might make them rethink their decision of reentering. However, there have been cases of Armadillos still digging under fences, which have been embedded deep. Because of this, it is highly recommended that you take more than one preventive measure from the list to ensure that you will not have an Armadillo problem. Armadillos either scurry along the ground or dig through the soil just beneath the surface when scavenging for food. They are nocturnal, so building a fence around your property will save you some hours of sleep and worry. You will need to place fences surrounding the whole area and it will need to be embedded into the ground at least by 1-foot deep. If your fence is only placed on top of the soil, they will easily dig through the soil underneath and get in. It is also a good idea to get pine mulch and spread it along the perimeter, as the smell wards off these animals and keeps them away from the fence as well. Having very moisturized soil will lead to an abundance of earthworms and insects in your garden. This will attract roaming Armadillos to take refuge in your yard due to the abundance of food available. Hence, keeping your yard relatively dry will reduce the chances of having an Armadillo problem. You should also keep an eye out for any garbage or compost in your yard, which, if unattended, can attract other insects. You can also consider pesticide as another alternative to reduce the number of insects in your yard. Keep in mind that some pesticides can be harmful to not only the insects and the Armadillos, but also humans and pets. Armadillos are typically shy creatures and will scurry away if they feel unsafe. Having a guard dog is a possible prevention option to keep Armadillos from coming into your yard. Although this method may not always be effective. You can also consider putting mothballs in your garden to deter Armadillos, which are known to be sensitive to the smell. You can also repel other possible pests such as snakes or squirrels with the use of mothballs. However, you must keep in mind that they can be hazardous for children and pets, as they contain chemical repellents and are flammable. That is why you will need to secure them if necessary. As you can see, there are quite a lot of different things that you might want to take into account if you want to conveniently handle the issue with armadillos. This is something which is going to help you keep the entire population at bay and it will also allow you to repel them very quickly. In any case, this is something that you should take into consideration as failing to do so could potentially expose your garden to destructive burrowing as armadillos are definitely capable of doing a lot of damage.